In addition to the Green America credit card, there are many more to choose from. The cards below are issued by community development banks and credit unions—financial institutions that have a mission to lift up local communities, support local and green business, provide fair housing loans, and more. 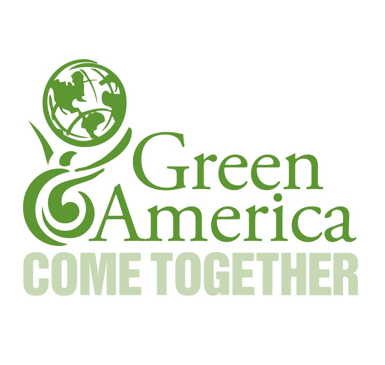 The Green America Visa, from TCM Bank, supports Green America's green-economy programs. Use this card to direct a portion of every purchase toward Green America's work to build fair tradings systems, advance clean energy, get GMOs out of our food supply, and support green businesses. 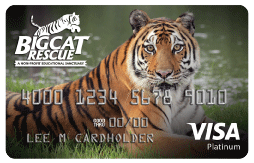 The Big Cat Rescue Affinity Card is a Visa Platinum credit card that rewards you and saves wild and exotic cats. This partnership ensures that a percentage of every purchase made using this card furthers BCR's mission of freeing big cats from commercial exploitation and stopping feline abuse. The Amazon Watch Visa helps protect the rainforest. Amazon Watch works directly with indigenous communities and at the regional and international levels to protect ecologically and culturally sensitive ecosystems in Brazil, Colombia, Ecuador and Peru. 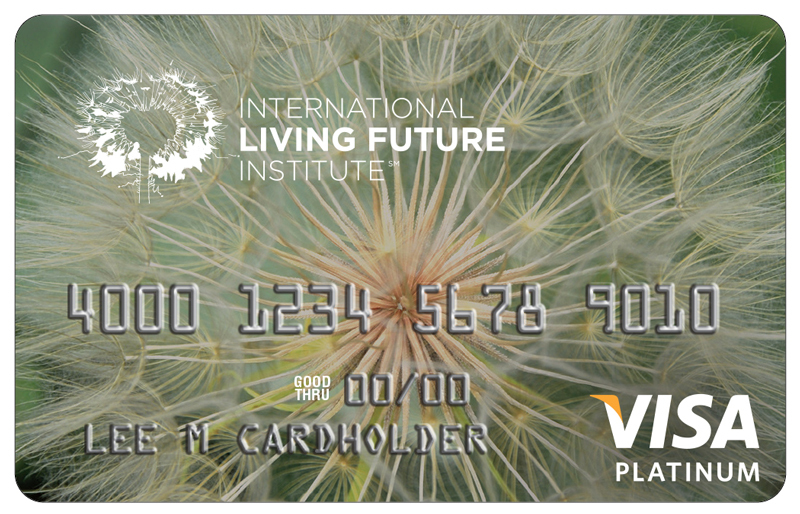 International Living Future Institute's Affinity Card is a Visa Platinum credit card that works to redefine the green building movement. This partnership ensures that a percentage of every purchase made using this card furthers ILFI’s mission to offer green building and infrastructure solutions that help create a better world. The Salmon Nation Visa directs a percentage of its income to growing environmental stewardship of “Salmon Nation,” a bio-region from Alaska to Oregon. 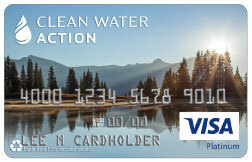 The Clean Water Card is a Visa Platinum card for Clean Water Action members and supporters. This card is designed from the bottom up to make our world a better place, starting with clean water and healthy communities. The following community development banks and credit unions offer similar credit cards that support a mission to lift up vulnerable communities. Hope Federal Credit Union VISA Hope has worked for decades to improve lives in the Mid-South. You must be a member of HOPE to apply for the VISA, but membership is open to all. Sunrise Banks is certified by the U.S. Department of Treasury as a Community Development Financial Institution (CDFI), a designation only given to 90 banks nationwide. They offer many options for a conscious credit card.